I am super excited to be joining the Cas(e) this Sketch team this week as a guest designer. If you haven't checked them out it is a must. I love their sketches. Wish there were more hours in a day to be able to participate in all the weekly sketch challenges. 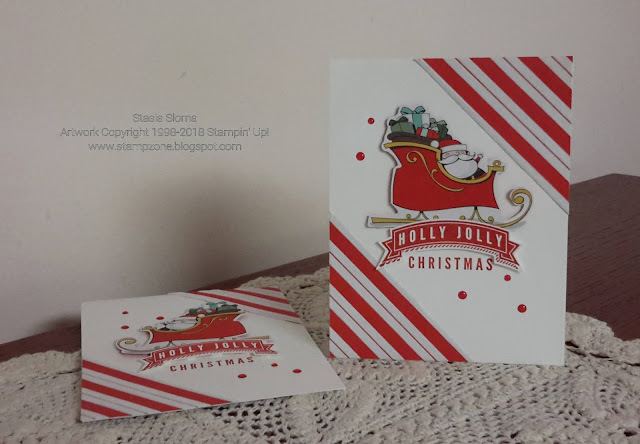 For this week's project I used my favorite Santa's Workshop designer series paper. I have had so much fun working with with this paper. The Santa was fussy cut. The sentiment comes from the retired A Banner Christmas. The enamel dots come from the Santa's Workshop suite. Make sure you check out the other inspiring designers and their take on the sketch and why not join the fun and upload your creation.